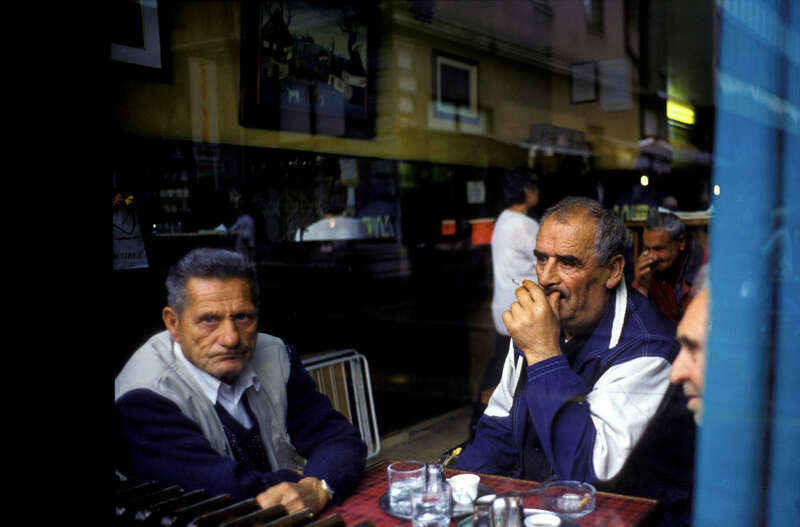 Men smoke cigarettes and drink coffee at one of Sarajevo\'s many coffeehouses. Drinking coffee is a local pasttime, but also a reflection of Bosnia\'s high unemployment rate, which hovers near fifty percent. April 2002.